So, I won this from a giveaway a couple months ago and I was super excited. Along with this, I was able to get 2 other polishes and a cuticle oil with my order. I was suuuuper excited because I really liked the cuticle oil I have purchased in the past and I was excited to add to my collection. Left is with a flash and the right is without a flash. 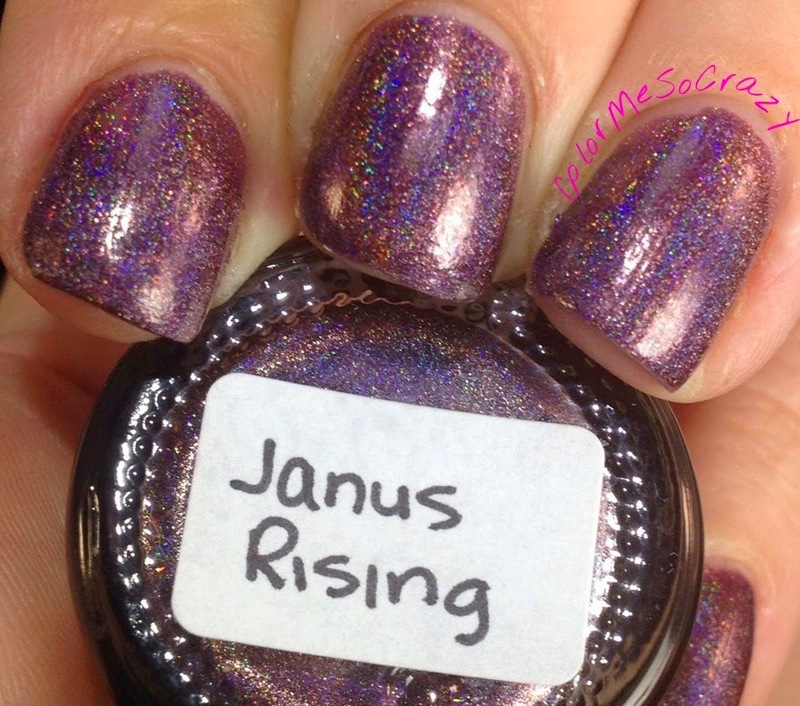 As you can see, Janus Rising is a purpleish, brownish, reddish duochrome- holographic color. Wow!! That's a lot of stuff and it makes it awesome!! The color shift from the purple to red is really awesome in the sunlight. I am kind of bummed because it has nothing but rain here for the last couple of days, so you are stuck with a flash. I love this polish. 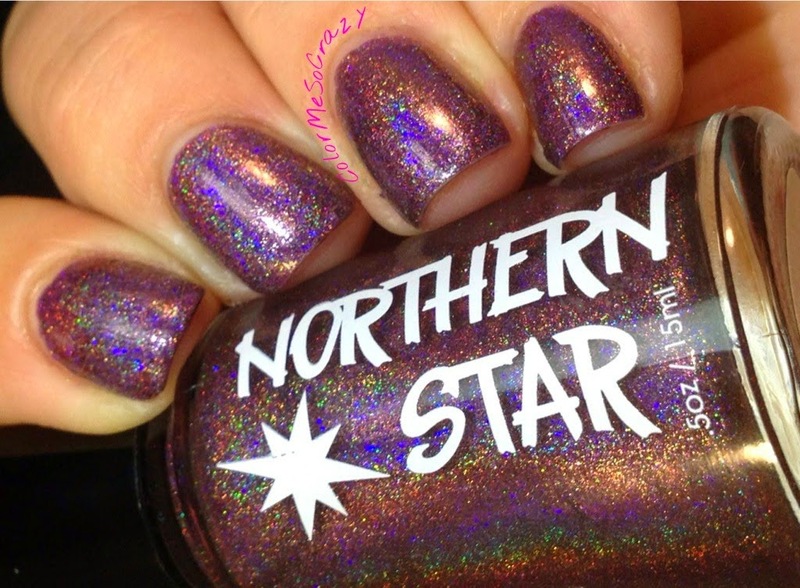 I am starting to drift away from holos a little because I am just over them. For me, they are a winter polish and I think I am holo'd out!! This polish really brought me back though. I loooooooove the color purple, so with the shift it made it awesome. It was super fun to wear and was overall a really great polish. 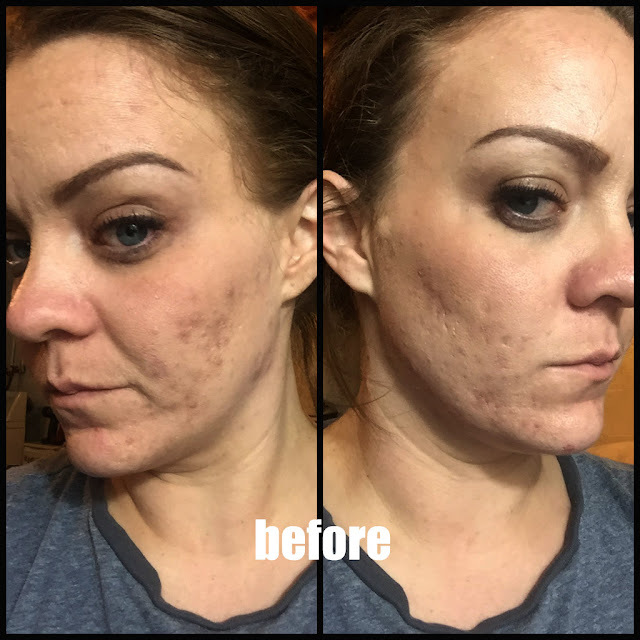 It wore for a couple days before chipping and only needed 2 coats to get full coverage. 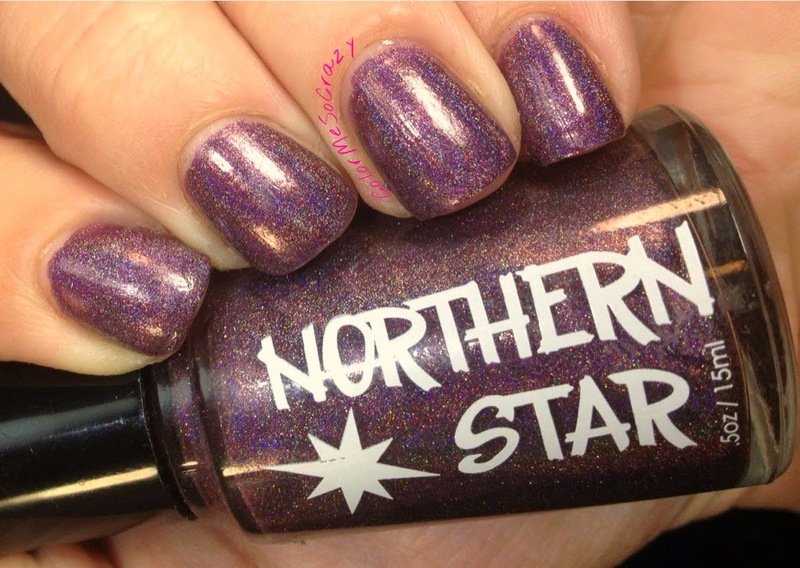 I mean, check that holo line!! GORGEOUS! !